Amphitheatre of the king Herod. The structure intended for public entertainments, with arena and circles of seats, in the form of an elongated U. The amphitheatre was built in the age of Herod and served for chariot races, sporting contests and entertaining shows in the Roman period. The arena is more than 250 m. long and nearly 50 m. wide. Originally the structure had 12 rows of seats and accommodated more than 10000 spectators. In the age of Herod the structure was called Amphitheatre and this is probably the Stadium mentioned in the works of Flavius Josephus (“The Jewish War”, II, 3, 9). Text: J. Porath. 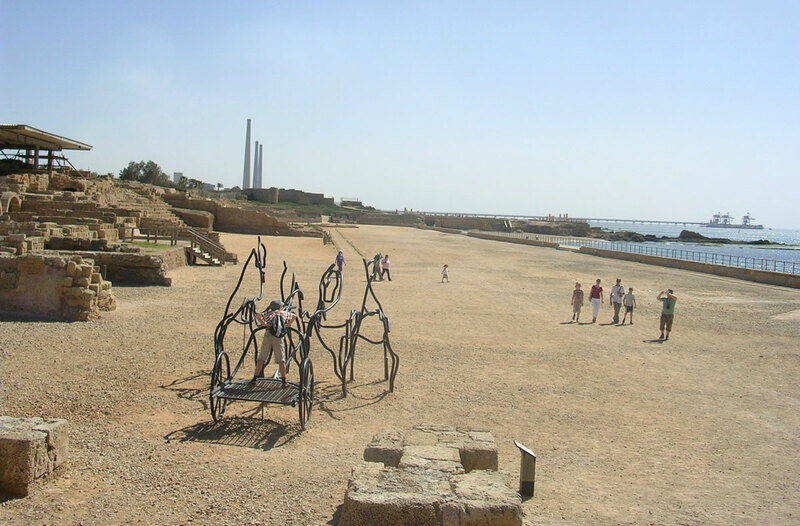 “Natsionalny park Caesarea”.